of Jesus Christ, and a compassion for God’s people. Using a Wesleyan lens to view the Scriptures, Tom focuses on the grace of God that meets us where we are and then transports us to where we are meant to be. An ordained elder in the United Methodist Church, Tom brings 35 years of experience as a pastor and evangelist to his ministry as an appointed General Evangelist in the church. 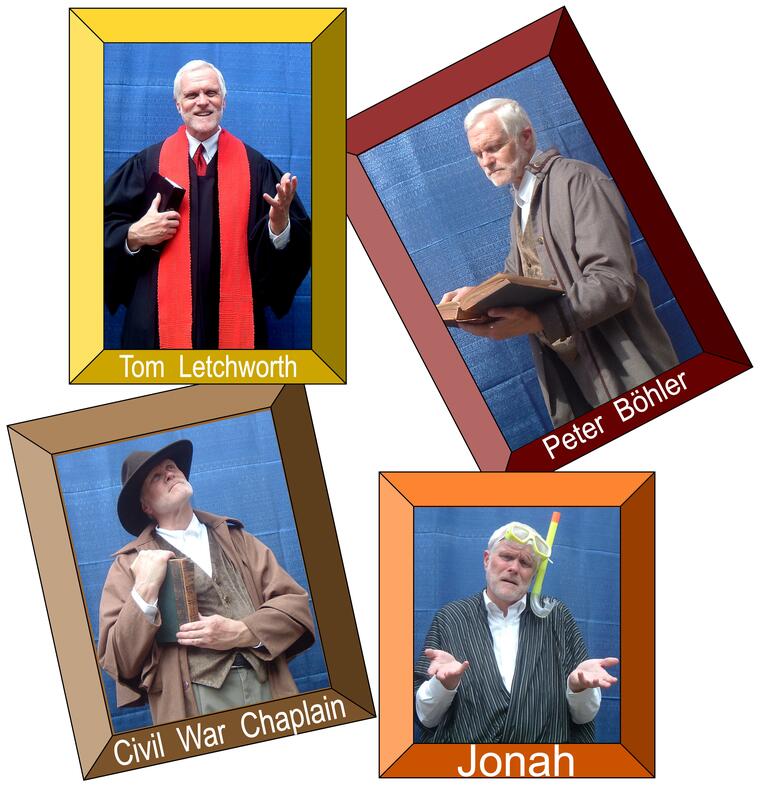 Tom uses a variety of methods to communicate the Gospel, including but not limited to dramatic sermons in which he speaks through a character to illustrate a Biblical point. In all of the different methods of communication, he hopes to make a dramatic difference! Glad y’all have a website and I can keep up with where y’all are and what you are up to!!! Glad to have this information and look forward to hearing more from you both!